SONOMA, Calif. – After walking off Sunday afternoon over Vallejo, the Sonoma Stompers continued the magic against the Napa Silverados Tuesday and Wednesday, winning both games with one swing. Tuesday’s game saw the Silverados jump out to an early 9-0 lead after just five innings, but Sonoma refused to give in. 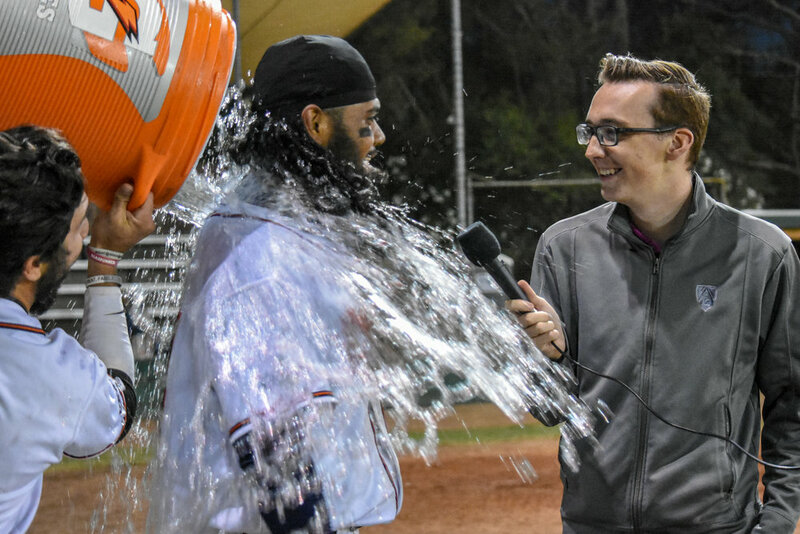 The Stompers scored seven runs in the sixth on two walks and six hits, including a three-run single from Daniel Comstock that brought the game to just a two-run deficit. Despite Napa scoring again in the seventh, Sonoma countered with three of their own in the eighth when back-to-back hits from Comstock and Daniel Baptista evened the game at 10. With the international tiebreaker rule in effect, neither team could score in the 10th and both scored a single run in the 11th to send the game to 12 innings for the first time in 2018 for either squad. With the bases loaded and one out, Kenny Meimerstorf came to the plate as a pinch-hitter, ending the game in walk-off fashion for the second day in a row, this time on a sacrifice fly. Four combined innings of relief from Ryan Richardson and Vijay Patel at the end of the game held Napa to just one unearned run on just one hit and with five strikeouts. The walk-off magic continued into Wednesday, but with game much calmer than the nearly five hour contest the night prior. The Stompers scored first, even jumping out to an early 3-0 lead, but the lead shortened as the game went on. Entering the ninth, Sonoma clung to a 4-3 lead, but the Silverados rallied on closer Jacob Cox to tie the game in the top of the inning at four runs each. Despite two quick outs in the bottom of the inning, the Stompers didn’t give up, as Eddie Mora-Loera walked and advanced to third on an error during a stolen base attempt. Baptista then came to the plate and sent a single to the opposite field, ending the game and securing Sonoma with its third straight win. Four innings of shutout relief from Ty’Relle Harris kept Sonoma in the game despite his squad scoring less than the nearly 6.5 runs they averaged a game entering play. Now, the Stompers head into Vallejo for a two-game series with the Admirals as winners of three in a row, all on walk-offs.